Let's be honest, relationships are sometimes messy and many of these topics we're covering during Lent are hard to implement on a consistent basis. Grace is no different. 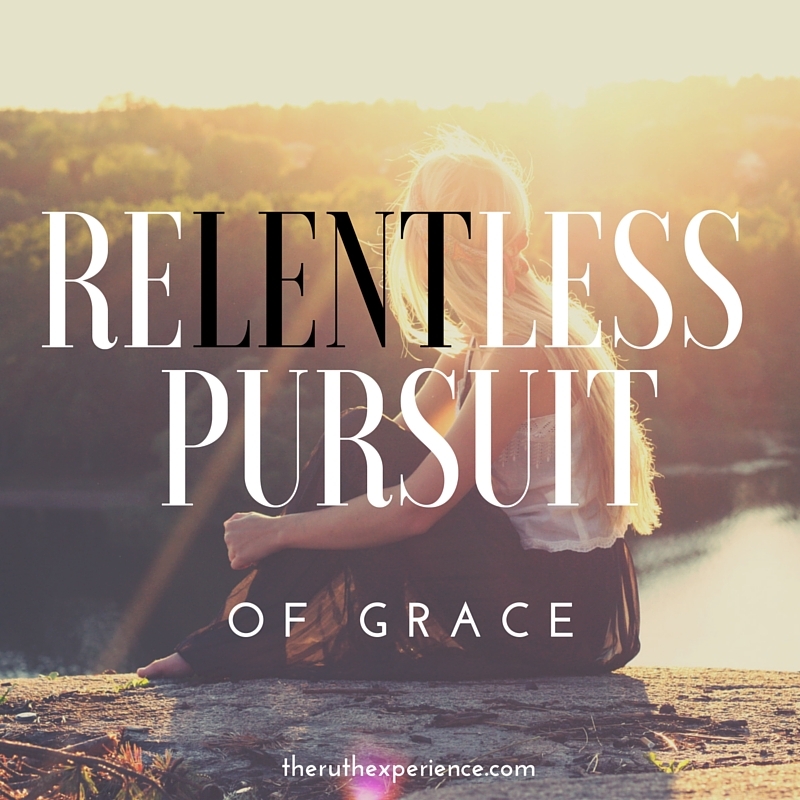 I find myself asking the question: Who deserves grace? The answer is, none of us really. We don't deserve it, that's the whole point, God extends it to us, even though we've not earned it. Jesus knew only one leper would return and yet he extends healing, mercy, and grace in spite of these men's actions. Did they deserve healing? No. Were they even thankful for it? Not that we're told. And yet, Jesus gives freely of his grace and healing because that's who he is. It's a lesson we can all remember the next time we want to hang onto the resentment and anger towards others for their actions. Are you able to forgive others easily or do you find yourself hanging onto anger and resentment towards others? Who around you could use some grace today? Pray for God to give you wisdom in knowing what extending grace towards others should look like today. John 1:16-17 states: Out of his fullness we have all received grace in place of grace already given. For the law was given through Moses; grace and truth came through Jesus Christ. Another version says we have received grace upon grace. I love that phrase and the truth behind it. When I think of my own life and imperfections, I realize the value of God's grace, given freely to me. Realizing we do not have to be perfect to receive his gift frees us from feeling like we constantly have to perform for his approval. We do not. God loves us, just as we are, right where we are. If you are living under a shadow of guilt over past or current mistakes, today's the day to realize that God's grace is FOR YOU. Do you trust God's grace over every area of your life, every misstep and mistake? Do you understand, as Alexander says, that it is sure, unconditional, and everlasting? Is there anything in your life that hinders you from fully accepting God's grace for you? Today, be honest with God about your need for his grace. Grace for our enemies is not something we talk a lot about. Those we consider different from us and those who hate or despise us, whether that's the person next door or half way around the world. What's our response to a world that often shouts hateful things towards others? Oftentimes, I know my initial reaction is fear. But I realize that is not from God. So how do we extend grace to those who don't like or even hate us? Luke 6:27-36 states: “But to you who are listening I say: Love your enemies, do good to those who hate you, bless those who curse you, pray for those who mistreat you. If someone slaps you on one cheek, turn to them the other also. If someone takes your coat, do not withhold your shirt from them. Give to everyone who asks you, and if anyone takes what belongs to you, do not demand it back. Do to others as you would have them do to you. Such truth in this passage of scripture. Is it easy to do? Not always. But I believe God will help us and change us as we pray for those we would consider our enemies. Not sure how to begin? Start by simply asking God to show his mercy and grace to your enemies and ask for your own heart to be changed as well. Do you have relationships in your life that are challenging? Do you struggle with disliking or even hating people that are of a different religious or racial background than your own? How do you think God would treat these same people and how can that be your guide in how you should treat others? Lord Jesus, Extending grace towards others is hard and sometimes harder still to give to ourselves. Would you show us anew your amazing grace in our lives? Would you convict us where we need to be convicted, comfort us where we need comforting, and love us where we need to feel loved. And then would you help us to extend your grace to those around us in our words and our deeds? We love you Jesus, help us to be more like you. Amen.